When I first saw the preview for Windows 8, I admit, my reaction was: What.In.The.World…? But then again, I know I am a person who does not like sudden changes, and Windows 8 comes with an interface that looks confusing. I thought that perhaps it is just me, and you know, we can get used to it over time. Now whe n I check the technology news, I see that various analysts also are not too hopeful about Windows 8 prospects. The culprit behind such evaluations is actually the thing that “caught” my eyes as well, so to speak. 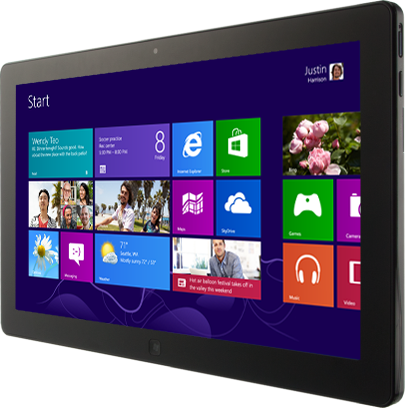 Confusing interface is being cited as the main reason why Windows 8 could influence a tepid PC growth. According to computer analysts, when a new operating system is released, if it is successful, the release is followed by a relative growth of computers personal households and especially business enterprises. However, checking the patterns Windows 8 usage after its release, analysts present numbers that are a lot smaller compared the number of people who ran Windows 7 right after its debut. The PC demand might also not be increasing, because the Enterprise is not interested in Windows 8. Also, iPads and tablets are said to continue substituting PCs. Therefore, only time will show whether Windows 8 will be a successful operating system, or it will be surpassed by the next Microsoft’s release. Let’s hope it won’t follow the steps of Windows Vista. This entry was posted in Internet, technology news and tagged Microsoft, personal computers, software, tablets, Windows 8 by compudoumi. Bookmark the permalink.